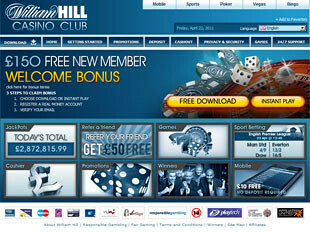 William Hill Casino is considered to be in the top 3 of the leading online casinos in the UK. 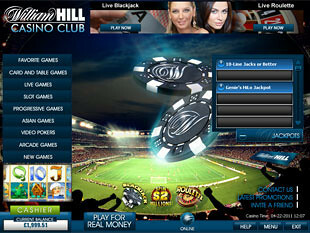 Being a part of well-known and respected William Hill brand, this online casino provides you with safe service as well as a wide range of video poker games. Enjoy numerous bonuses provided including nice £4,000 Welcome Bonus for all new members to start playing with free cash spending nothing at all. Powered by Playtech, William Hill casino offers you to play over 120 games for any choice. Unfortunately, USA players are not accepted. Welcome Bonus is available as soon as you create a real money account. Check your email for special email with a verification link. You should click on that link, register and start playing with free money. Of course, there are some restrictions concerning the time when you can withdraw this money. You can withdraw your prizes after meeting the wagering requirement of 12x. William Hill casino offers you several options for the first deposit bonuses. 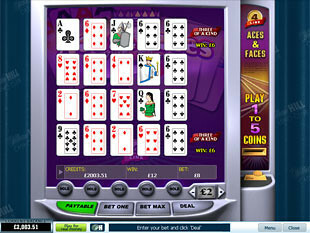 Their sum depends on the minimum deposit you can made start playing as a new customer. The simplest one is 150% up to £300 for the first deposit bonus. You can get it making the minimum deposit of £35. While the minimum deposits vary depending on the bonus you want to get, the wagering requirement is the same for all these promotions – 12x. The other attractive promotion is 20% up to £100 Monthly Bonus. You can get such bonus for the first deposit of the month. What is more, it is available within 1 year. All you need is not to forget to deposit at least once during some month. The minimum deposit is decent enough – £15. And the wagering requirement for this promotion is 15x. The other promotion you can get is 60% up to £500 for the second deposit. Deposit at least £35 and meet the wagering requirement of 15x. You also can get 15% up to £2,500 per month if deposit with such payment methods as Neteller, Click2Pay, ClickandBuy, Ukash, Paysafe Card, EcoCard, EntroPay, MyCitadel, WebMoney, Wire Transfer, UseMyBank and Moneybookers/Skrill. The minimum deposit required is £35 and the wagering requirement is 15x. Those who deposit with Visa, MasterCard, Switch, Solo, VisaElectron and Maestro can get 10% up to £2,500 per month. You also can get £50 Refer a Friend bonus. Just refer a friend and wait till he or she deposits at least £35 to get your free cash. 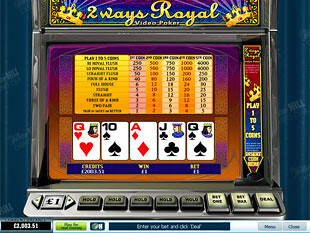 To withdraw your winnings you should meet the wagering requirement of 20x. Powered by Playtech, William Hill casino provides you with amazing collection of games represented in flash and download formats. Enjoy high quality graphics and amazing design that invites you into the exciting world of gambling with your favourite games. 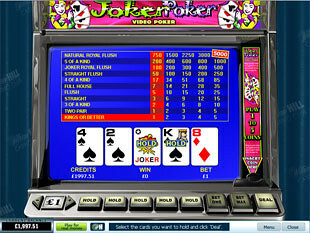 You can play 4 Line, 10 Line or even 50 Line video poker games. 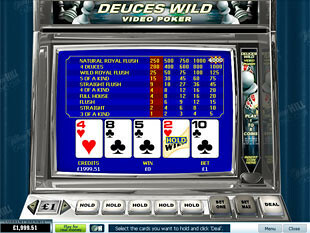 2 Ways Royal, Joker Poker, MegaJacks, Jacks or Better, Joker Poker, Aces and Faces, Deuces Wild and many more other video poker games invite you into the atmosphere of stylish entertainment and great awards. There are such payment methods available as Visa, MasterCard, EntroPay, Moneybookers/Skrill, Mycitadel, InstaDebit, Neteller, WebMoney, Ukash, iDeal, Delta and many others. Don’t forget about special bonuses when you choose payment option to deposit.